Our journey into the heart of La Vida Cubana begins where else? In Havana, the country’s iconic capital, of course! Take a walking tour of Old Havana and learn about the city’s famous spanish-colonial architecture. Visit the studios of Cuba’s up-and-coming artists, and learn about the island’s thriving art scene. 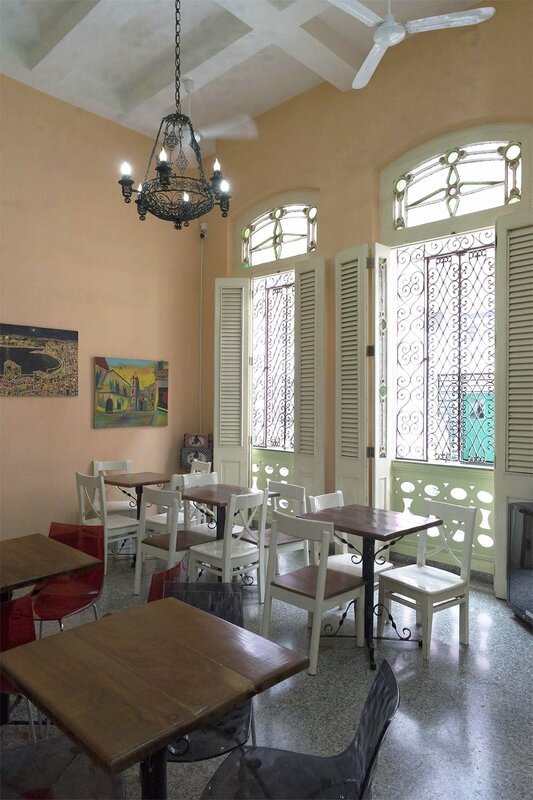 Cook up beloved Cuban dishes with a favorite local chef and enjoy the city’s top restaurants. Learn to salsa from professional dancers who will teach you the classic moves. Meet one of the pioneers of Cuba’s green revolution, and share a meal on his organic farm with freshly harvested produce. Tour a classic car co-op and learn how the island’s mechanics keep those vintage cars running. While Havana is wonderful, there’s so much more to discover! Leave the bustle behind and travel to Piñar del Río, home of one of the island’s most stunning natural sights: the Viñales valley. Visit a tobacco farm and learn about the art of making Cuba’s famous cigars. Hike the stunning valley and visit a community project that provides free art classes to hundreds of youth. Logistics? We’ll take care of every detail, so you can focus on taking it all in. With years of experience leading travelers across the island, we ensure that every journey is an extraordinary one. Ready to explore Cuba? Enroll today! Tour | A classic car co-op, peek under the hood with the mechanics, and take a ride. Arrive | Home with wonderful memories, photos, and stories to tell! 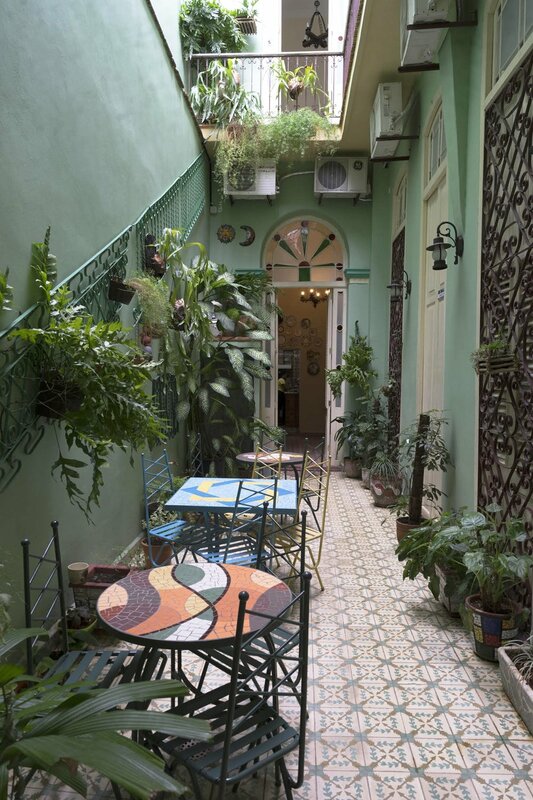 In Havana, you’ll stay in a beautiful newly restored Republican colonial-style guest house with modern artistic touches. Each room includes a private bath, A/C, TV, wi-fi access, minibars, and new furniture, it’s the perfect home away from home. 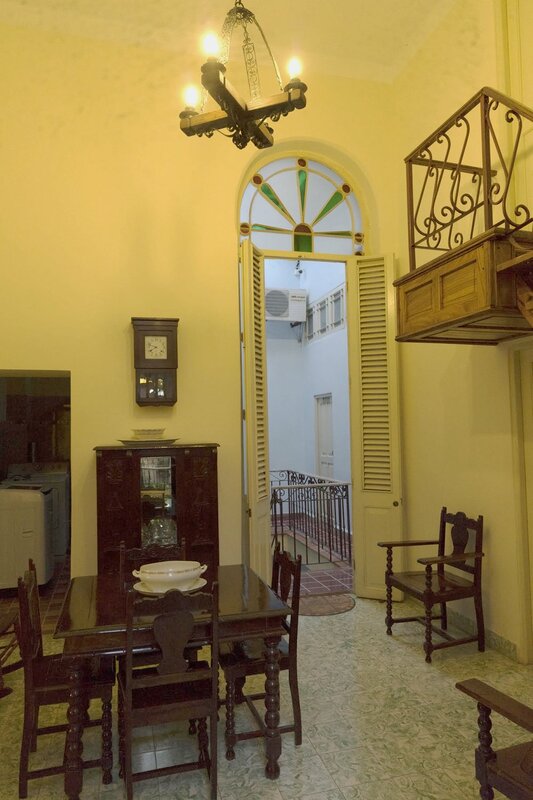 Located in the heart of Old Havana, a central location and an easy walk to the city’s key sights. In Viñales, our home will be a lovely and comfortable guest house with a terrace that offers epic views of the mogote mountains. The guesthouse is run by a wonderful local known for his warm smile and delicious mojitos. All accommodations are based on double or triple room occupancy. Single rooms are available at an additional cost of $350. Breakfast and accommodations at centrally-located guesthouses; meals as indicated in the itinerary; excursions and transfers; Cuban entry visa; relevant museum and park entrance fees; services of local guides; accommodation taxes, the applicable Tourism Levies and all relevant Value Added Tax (VAT) or Government Sales Tax (GST); staff gratuities; full-time support of EEAbroad Trip Leader, local translator, and driver; 24/7 emergency support of EEAbroad Country Director.